I do not teach story structure, the fundamentals of screenwriting, or how to become a crime fiction author; that is not my expertise. The resources I have listed below may help you explore those topics. While I have not compiled an exhaustive list of experts, here are a few that I have personally read and I think are worth looking into if you are just starting your writing career. These terrific books are listed in alphabetical order by the Author last name, not by any sort of rank of importance. Add them all to your literary bucket list! I have also included links for the best writing software available. Scrivener for novelists. Final Draft for screenwriters. Disclosure: Book and Software Images are affiliate links. 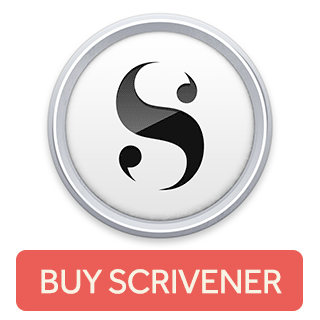 Scrivener is the top choice of best selling authors. Final Draft is the screenwriting software that powers Hollywood. Pat Flynn's Power Up Podcasting course is the course I followed (step-by-step) to launch the Writer's Detective Bureau podcast. This is the best course on podcasting I have found. Epidemic Sound is where I get all of my music for the podcast. It's what all the cool YouTube kids are using for music in their videos too.